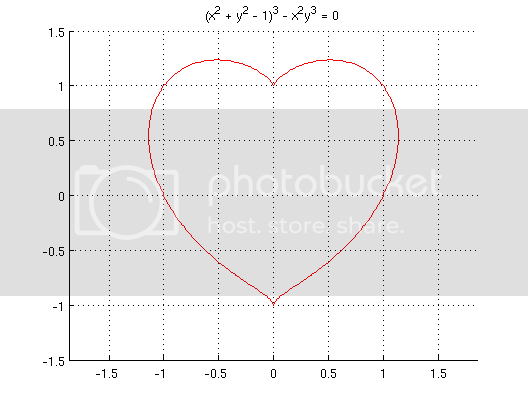 Never thought I'd be posting a graph on my blog, but isn't it amazing that the heart symbol can be expressed as an equation? Hope this unusual heart brightens up your Monday. Have a happy, non-commercialised Valentine's day!